This weekend I pulled out my old jewelry making supplies and put together a few small projects. First up was this bracelet and earrings that I think go well together: I got the inspiration for these projects from Fusion Beads. 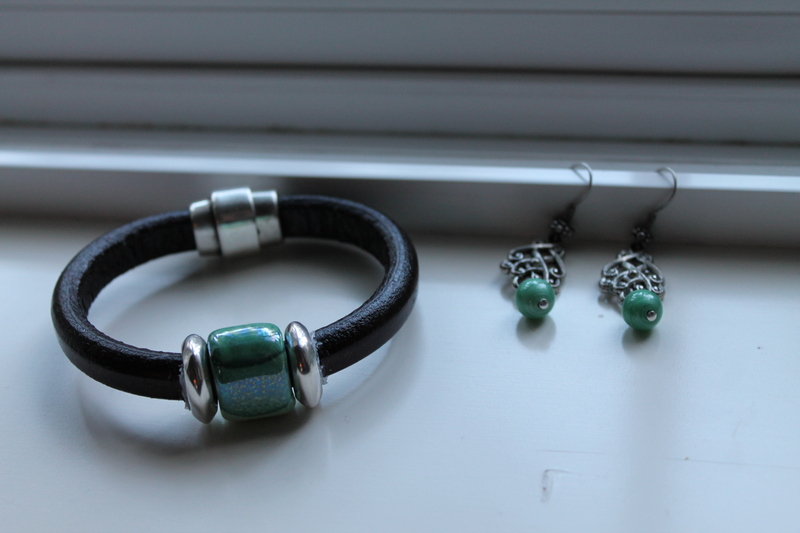 The bracelet I modified by replacing the mauve bead with this teal one and swapping the accents for silver. I also used a bit of hot glue to hold the side beads in place because they were sliding all over the place. 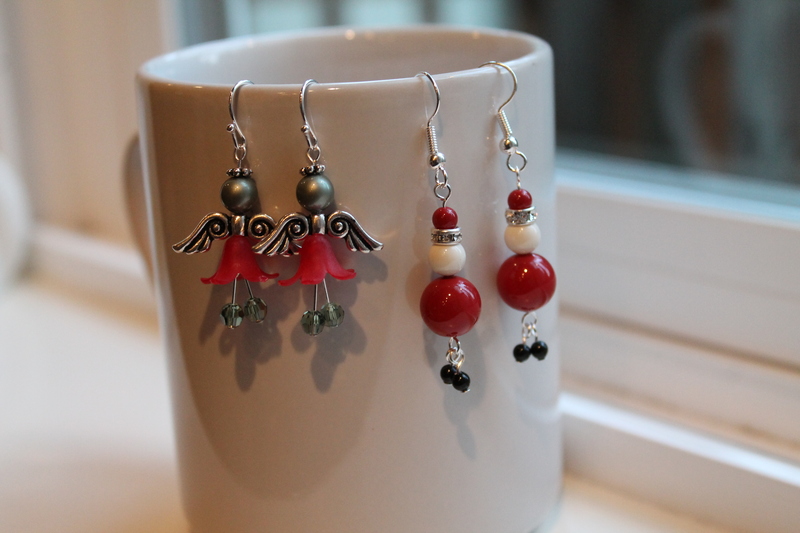 I felt like making a few pairs of holiday earrings and thought these were super cute. I really adore the chubby little Santas with their dangling feet. I can’t wait to wear these during the holidays.